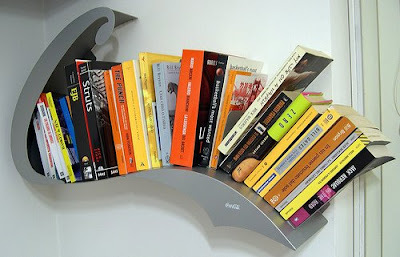 Creative and Stylish Bookshelf and Bookcase Designs– Part: 3. 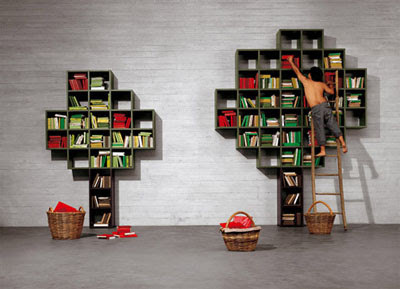 Collection of ‘Creative and Stylish Bookshelf and Bookcase Designs’ from all over the world. This one seems to be inspired from balance. 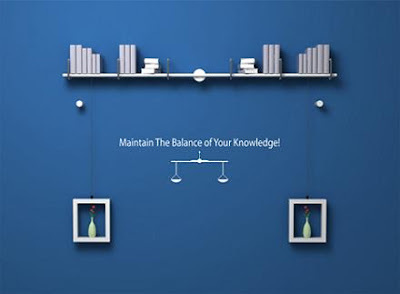 Sliding the cable underneath or by increasing number of books on the higher side could help you to balance this bookshelf. 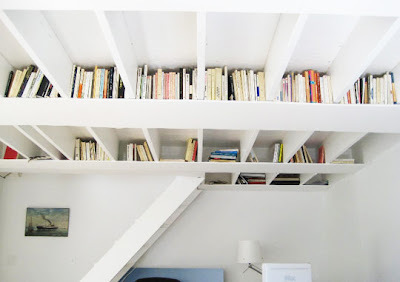 An interesting way of storing books without taking up a lot of space. 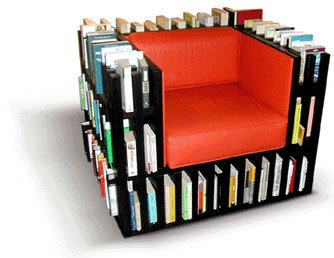 This chair has the capacity for storing five linear meters of books. 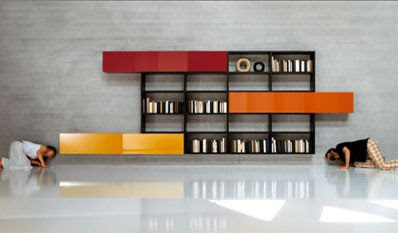 Random bookcase by Michael Geldmacher, designed for MDF-Italia. 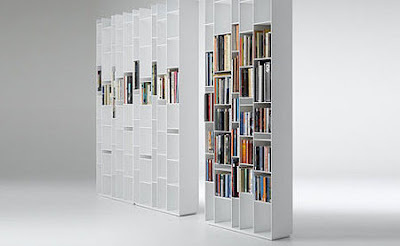 Interesting designed bookcases by Daniele Lago. 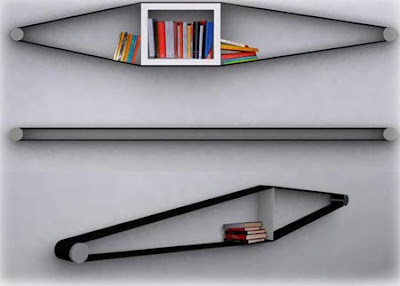 Cave Bookcase: There is also bookshelf for children with a smaller cave, & for dog it has a booth instead of a cave. Don't miss to check the part one: Link. 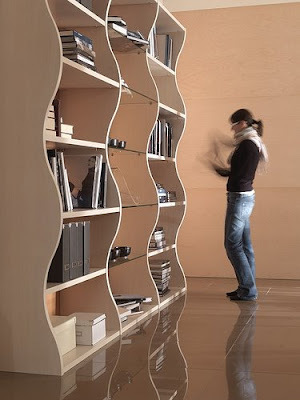 Don’t miss to check out “Creative and Stylish Bookshelf and Bookcase Designs – Part: 1| 2| 3| 4| 5”. 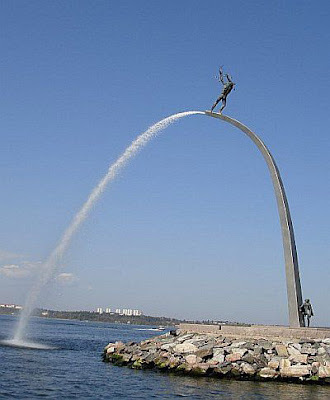 Collection of ‘Interesting Fountains From Around The World’ for you. 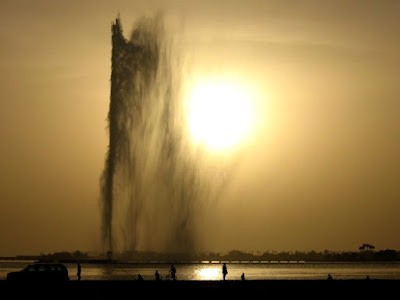 World's highest Fountain: King Fahd's Fountain located in the city Jeddah, Saudi Arabia is the world's highest fountain. 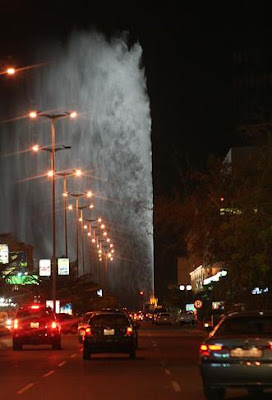 165 gallons of water per second is pumped by 3 huge pumps each through a 126 mm nozzle at an incredible speed of 233 mph & reaching the maximum height of 312m (1023ft) higher than the Eiffel tower (excluding its antenna). 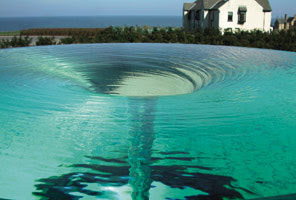 Electric Fountain: The installation 'Electric Fountain' by two London artists at Rockefeller Center, reaches 35 feet in the air. 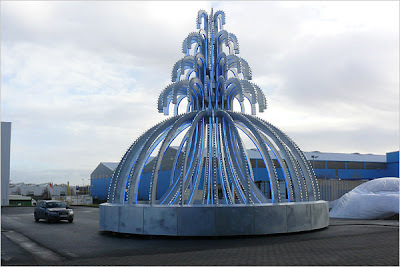 Fashioned from steel, neon tubing & 3,390 LED bulbs is this 61,000 lb fountain. 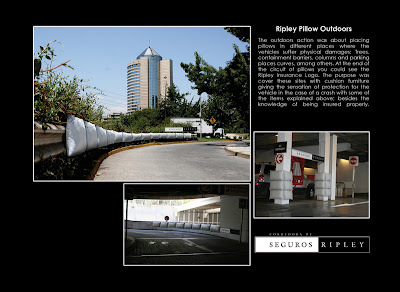 Here is the gallery. 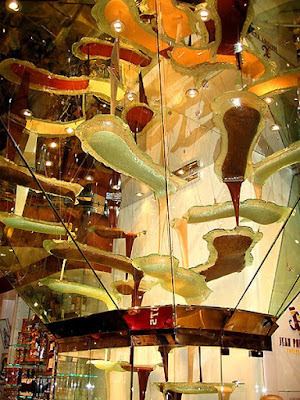 World's Largest Chocolate Fountain - At 27-feet tall, this chocolate fountain created by Jean-Philippe Maury is the world's largest. 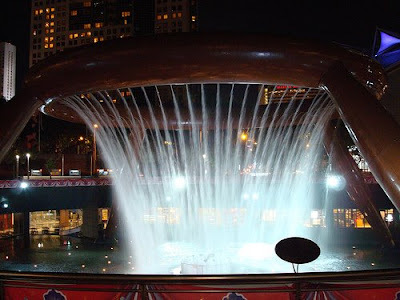 The fountain is filled with 2100 lb of dark, milk & white chocolate. 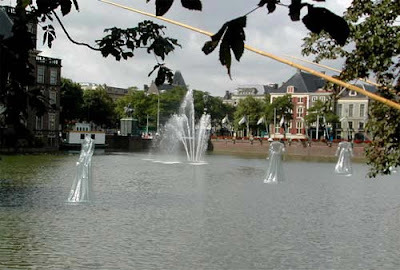 These are few from Archibase which has a collection of some of the most unusual fountains in the world. 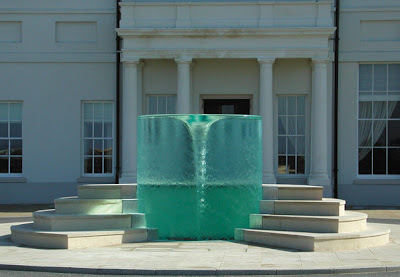 Water Vortex Sculpture: This water sculpture is the creation of by William Pye is called Charybdis, and it's located in Seaham Hall, Sunderland, UK. 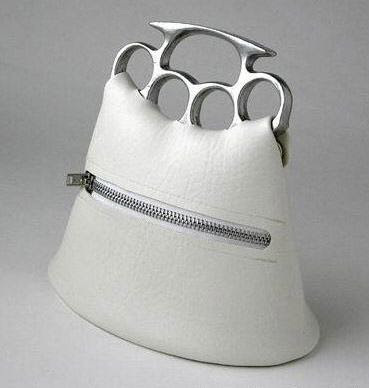 Cool Handbags and Creative Handbag Designs. 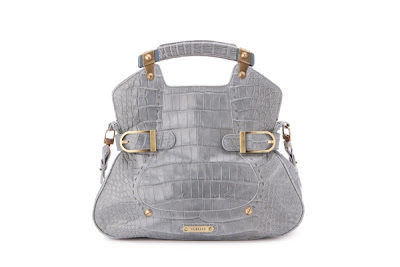 Collection of ‘Cool Handbags and Creative Handbag Designs’ from all over the world. 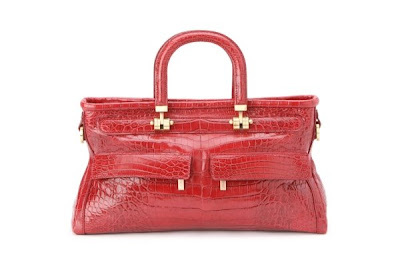 Versace Handbags: These bags are from House of Versace, whose luxury goods, fragrances, & clothes have always been a part of lifestyle of the rich & the famous around the world. World's Most Extravagant Handbags: The Chanel "Diamond Forever" Classic Bag: $261,000 - The "Diamond Forever" classic bag is embedded with 334 diamonds totaling 3.56 carats with long shoulder straps made with 18-carat white gold. 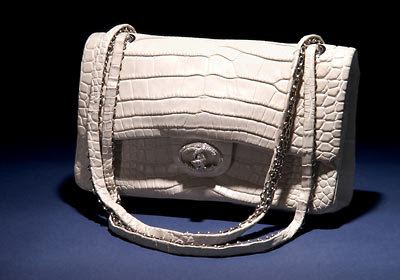 Its been planned to produce only 13 such bags, making more demand for it with limited production. Here is the gallery for rest of the series. 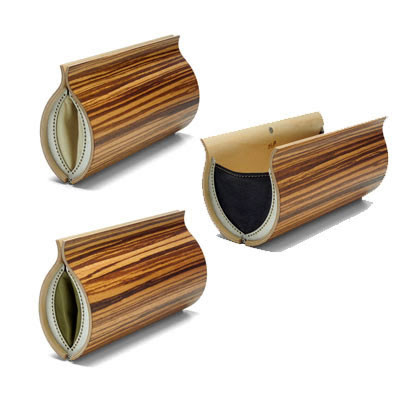 Wood Handbags: This handbag is produced using wood panels which are built in Sweden & is assembled with the metal parts in steel & the skin is made in the USA. 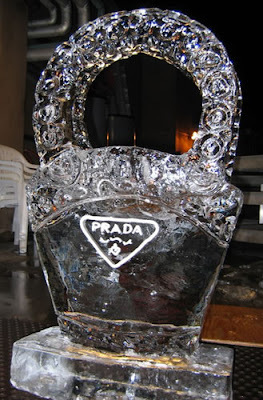 The worlds Coolest Prada Handbag created by IceChef. 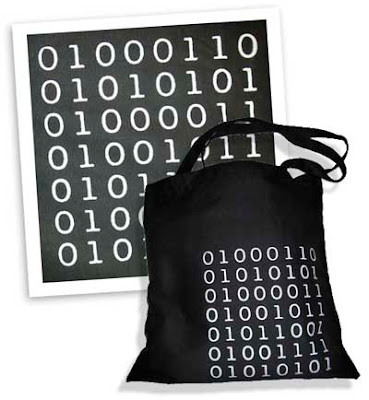 Binary code handbag: It comes with a message in Binary in the front. This is a sure success with the IT people, all you need to do is to gift it to someone whom you don't like & do remember who has no idea what binary is. 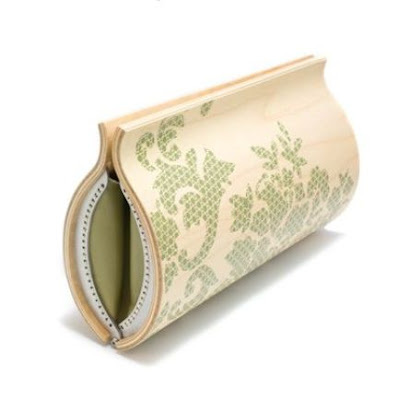 Don't miss to check out "Unusual Handbags and Creative Handbag Design - Part: 1| 2." 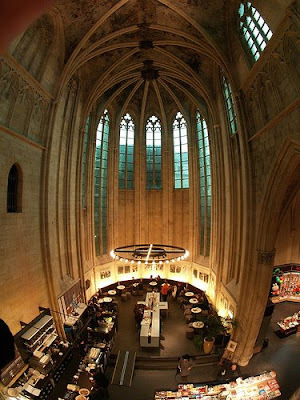 Collection of ‘Most Interesting Bookstores of the World’ for you. 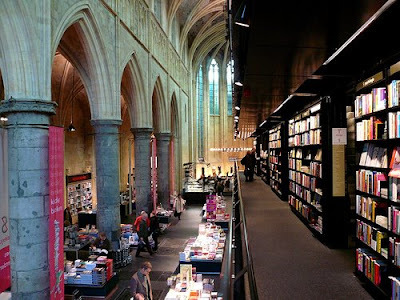 Selexyz Bookstore in Maastricht, Netherlands. The coffee shop of the Selexyz Bookstore. The famous Shakespeare & Company Bookstore, Paris. 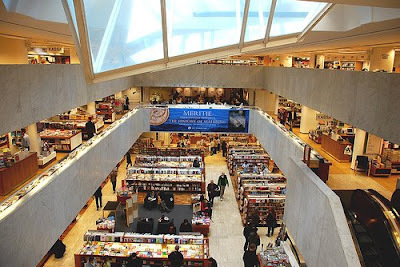 The Academic Bookstore (Akateeminen Kirjakauppa) designed by Alvar Aalto - is one of the biggest in Europe. 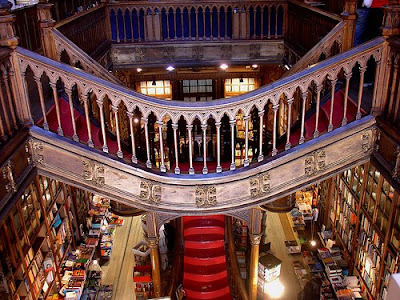 The Lello bookstore in Porto, Portugal, is open since 1906 & is one of the most beautiful bookstores in Porto & the world. 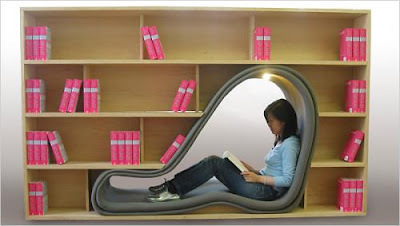 Designed by Xavier Esteves, the bookstore's architecture & interior designs are amazing. Inside view of Lello bookstore. 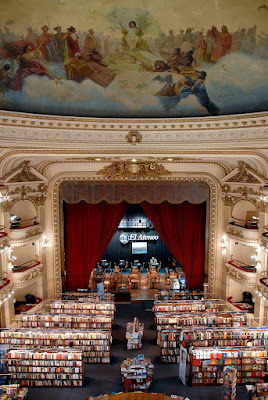 The majestic El Ateneo bookstore on Avenida Santa Fe in Buenos Aires. 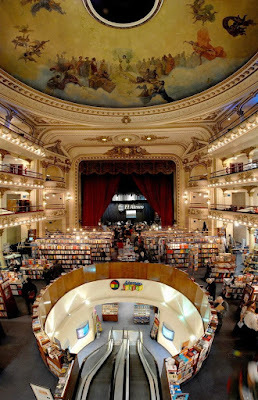 Inside view of El Ateneo bookstore. 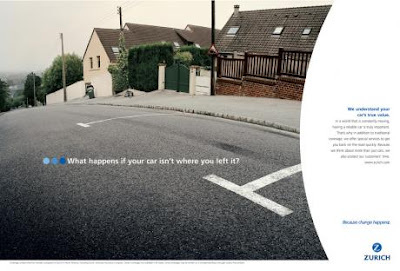 Creative and Clever Insurance Advertisements. 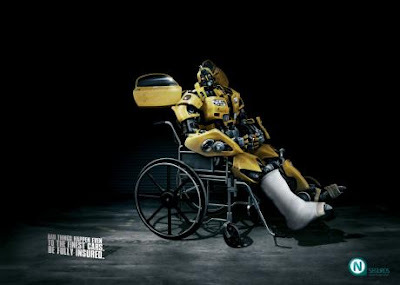 Here is a cool collection ‘Creative and Clever Insurance Advertisements’ from around the world. 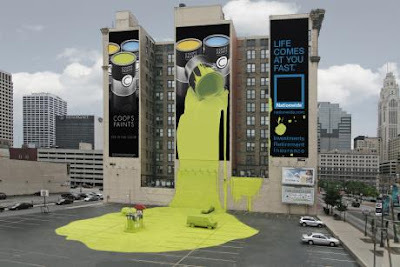 An interesting one from Nationwide Insurance, which looks more like an installation than a billboard but it's still awesome. 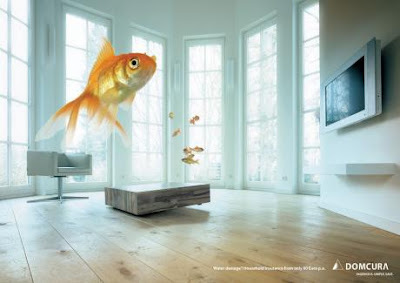 Its part of a multifaceted ad advertising for Zurich Insurance. It definitely links us to our own childhood. 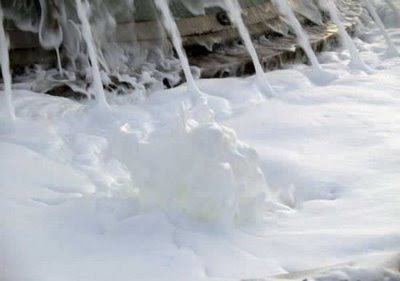 This one is of Ripley Insurance: The purpose of using cushioning was to give the sense of protection to the vehicle, if just something happens & perhaps to let the people know that the company cares for its customers & their vehicles & they are been insured securely. 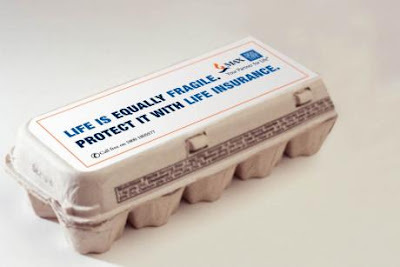 Here we have Max New York Life Insurance which sends out its message: 'Life is equally fragile. Protect it with life insurance'. 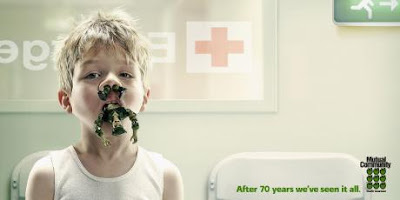 Don’t miss to check out “Creative and Clever Insurance Advertisements – Part: 1| 2”. 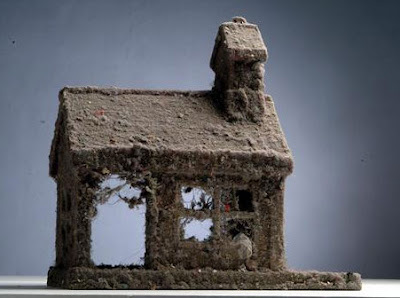 What would you do if you come across dust? Majority of the people would go for vacuuming & that's it. 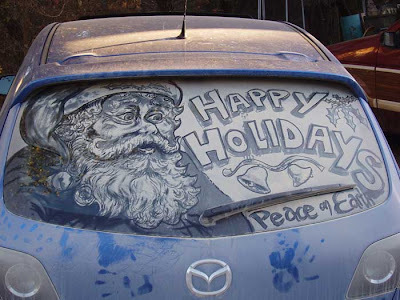 But here we have a few artists who have created beautiful works of art using dust. 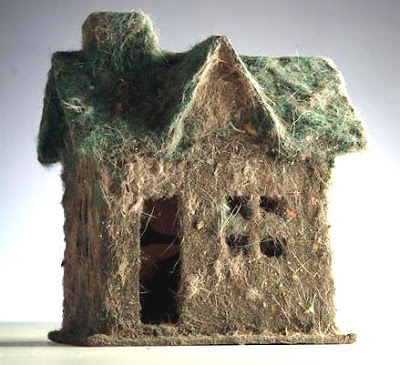 Dust Houses: When Maria Adelaida Lopez moved to Philadelphia to do a Master's degree in art school, she cleaned houses to support herself through the art school. 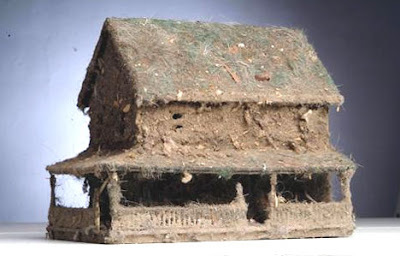 This is her series of 'Dust Houses' that are doll houses & are covered over in vacuum cleaner lint. At present she is an artist & educator in Miami, no longer cleans houses for others. 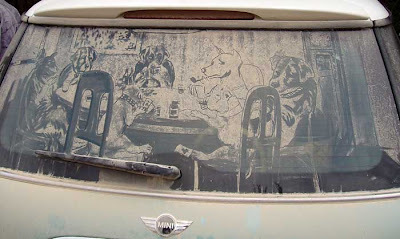 Dust Art: Scott creates temporary works of art on the back window of his Mini Cooper when the dust gets thick & it forms a canvas for him. Here is the rest of the gallery. 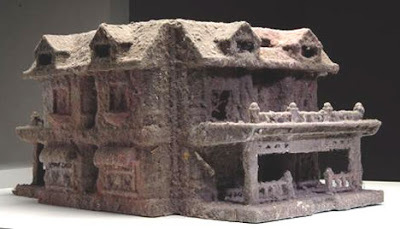 A Life Of Painting With Dust: Paul Chisholm collects dust & creates extraordinary paintings, based on specks of dust. Using a hi-tech microscope he uncovers the hidden intricacies of his collected samples & then paints the abstracted, enlarged form. Modern and Creative Cup Designs. 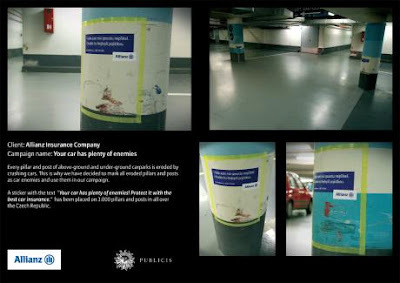 9 Cool Car Parking Advertisements. A Scale Model Of Mcduck's Money Bin. Mixed Links & Images - Part: 8. Look Alike Of Popeye In Real Life. 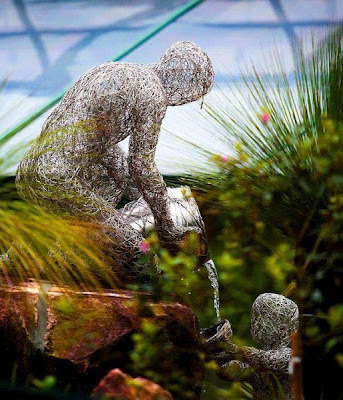 Cool and Creative Grass Creations. 10 Unique and Cool Purses. Mixed Links & Images - Part: 7. Interesting Cars Created In Photoshop. 10 Cool and Creative Balloon Creations. Cars That Run In Water. Global Effect - Then & Now. Artistic Photography By Nick Heiwa. 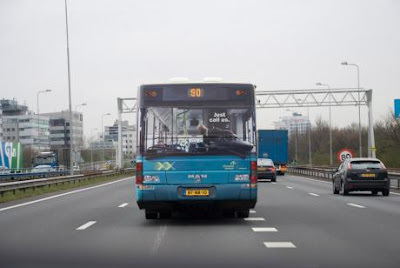 Mixed Links & Images - Part: 6. A Glimpse Inside A Football Factory. A One-Room Hotel In Paris. An Interesting Pathway In The Mountains. Mixed Images & Links - Part 5. How To Paint An Apartment In New Way.